New York State DEC Commissioner Basil Seggos says cleaning up Tonawanda Coke could take years. Seggos toured the River Road site this week to get a first hand look at the contamination left behind. 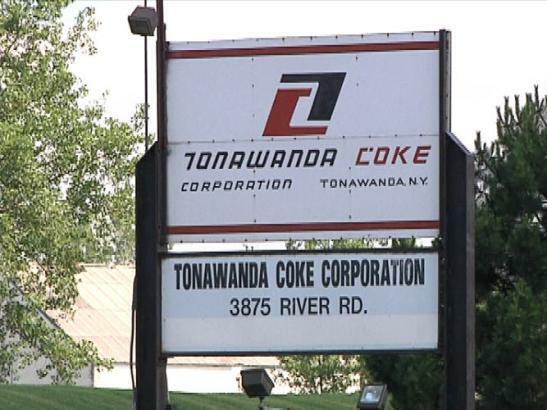 It has been about six weeks since Tonawanda Coke filed for bankruptcy and ceased operations. "There'll be an accounting of everything on the property. We'll make sure that we're there as a constant presence to make sure the site's secured. That no one is able to come on to the site," Seggos said. The commissioner says the most immediate dangers from the site are over. "I felt reasonably assured the significant air concerns we had earlier in the year have largley been abated," Seggos said. Still, the Department of Environmental Conservation commissioner says the 150 acre property is a dangerous place to walk around. "It's a heavily impacted industrial plant that was for many years woefully neglected. I was quite upset seeing the way that the facility was managed and what the workers must have been dealing with on a daily basis, just on health and safety issues, setting environmental aside. It's just a plant whose managers clearly had no concern whatsoever for their workers," Seggos said. Seggos says recovery operations of some of the commodities left behind, including coke for making steel, are still underway. Once the plant is fully decommissioned he says the DEC will complete its assessment and develop a clean up plan for the property. "These sites generally take many, many years to clean up. And even after sites are redeveloped you can have passive remediation underway. So this will be one of those sites that, I think, we have a hand in for many decades," Seggos said. A community meeting will be held to discuss the DECs findings in the new year.